Combine ingredients in a bowl and mix so soft eggs coat. Slowly add ½ up to 1 cup Old World Olive Press Sicilian Lemon Balsamic Vinegar. 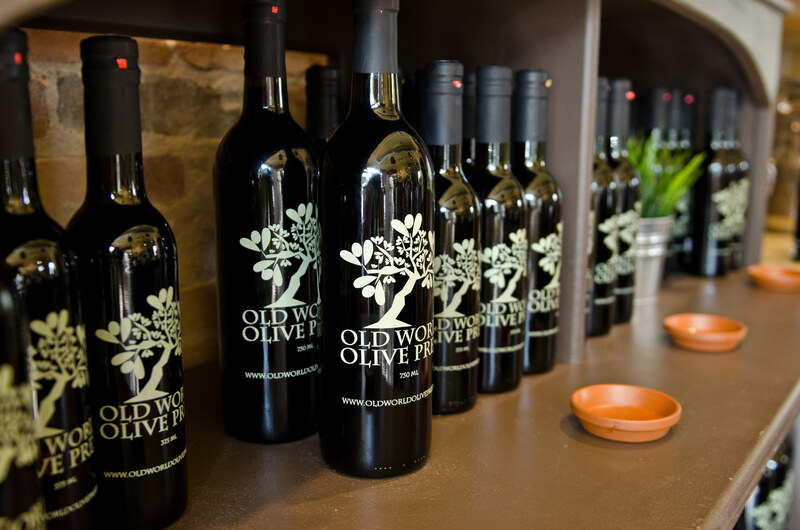 Finish with a drizzle of your favorite OWOC Regional EVOO. Sprinkle with salt and freshly ground black pepper to taste. Heat the EVOO in a six-quart soup pot over medium-high heat. Add the onion and cook, stirring, until softened and translucent, 3-5 minutes. Add the carrot, celery, and garlic and cook, covered, stirring occasionally, until the carrots are softened, about five minutes. Add 12 cups of the broth, the lentils, basil, thyme, and salt and bring to a boil. Reduce the heat to low, add the kale, and cook until the lentils are tender, 30-35 minutes, adding more broth if necessary. Stir in the balsamic, lemon juice and zest, and serve. Preheat the broiler. Place the bread slices on a baking tray. Cut the garlic clove in half and rub the top of each slice of bread well with the cut side of the garlic clove. Spread ¼ oz. of the goat cheese on each slice of bread. Broil until the bread is toasted and the cheese is warmed and lightly browned.